SYNOPSIS: Sara Linton–resident medical examiner/pediatrician in Grant County, Georgia, –has plenty of hardship to deal with, including defending herself in a heartbreaking malpractice suit. So when her husband, Police chief Jeffery Tolliver, learns that his friend and coworker detective Lena Adams has been arrested for murder and needs Sara’s help, she is not sure she can handle the pressure of it all. Okay, just to clarify, this book is also known as Beyond Reach. You know, pesky publishers giving different UK/US titles. Moving right on. This book is amazing. Granted, it is told out of sequence and that might throw a few people (confuse them, that is, not put them off), but it is told precisely like it needs to be to convey the correct feeling and message. The book is highly emotional, what with Lena fighting past demons and the desperation of saving her uncle. Then there is Jeffrey and Sara and their quest to adopt a child and start their very own family. This book is phenomenal, with a good story. You feel a part of it, the disjointed feel and not knowing what the hell is going on, so you totally understand how Jeffrey and Sara are feeling. Sara seems to be lacking a lot of her usual fiery self here, which is to be expected, too, what with her personal drama. I am really glad her and Jeffrey are married again though, they really work together. Ick, Ethan Green makes an appearance once more, and let me tell you, he is still a hateful animal, and totally ramps up the tension in this. Man, Slaughter really went for some things in this book, some sore topics were breached, and, as always, the characters remained true to themselves and developed all the more. I was horrified to read that Hank had gone back to his old, junkie ways, as I have always viewed him as a much stronger character. I maintain Slaughter has fantastic characters, they are so well written that you get super attached to them all, and so feel for them throughout their trials, tribulations and joys. The writing is, as to be expected, great, the story is solid, the events spine-tingling. The book draws you in completely and you go along with all the characters, seeing how the latest drama in their lives comes together and how it all fits, and what they will do. I thoroughly enjoy this book, and still think it a really solid conclusion to this series. SPOILER: Goodness gracious me, but that ending It totally crushed me, and yet I also thought it to be a ballsy move from the author. Well played Slaughter, well played. Now let me deal with my depression for a few days again and then I will move on with my life. Again. 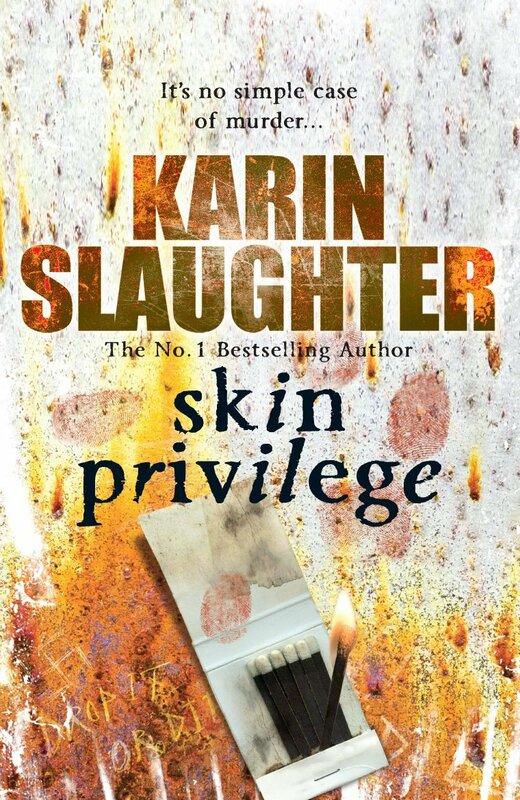 This entry was posted in Books and tagged Beyond Reach, Book, book reviews, books, dark, Karin Slaughter, Skin Privilege, well worth the read. Bookmark the permalink.